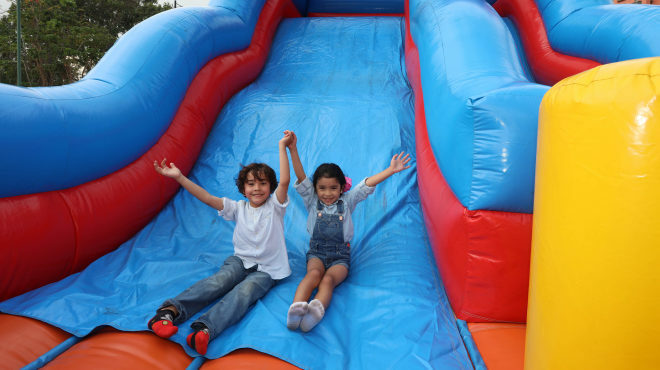 Easter celebration will not be complete without an exciting and fun-tastic Egg Hunt! 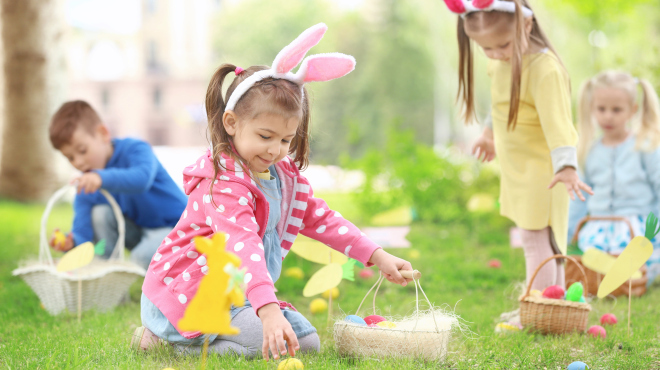 Stay with us this Easter where junior guests will receive a game pass for access to the ever-popular Easter Egg Hunt, dinosaur-themed arts & craft workshop, Gold Coast Zipline, Mini Train Ride, as well as outdoor themed challenge and inflatable games. 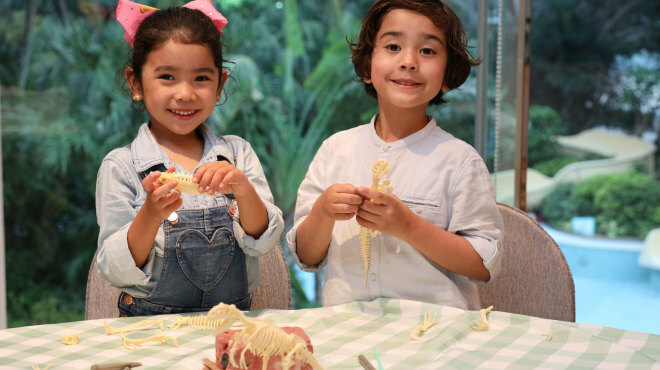 Satisfy your palate with delectable Easter festive selections from our buffet spread at special supplements exclusive only to Easter Room Package guests. What’s more? 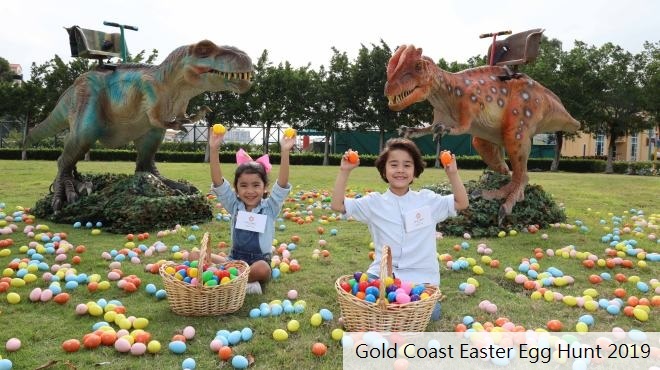 Those staying between 19 and 22 April 2019 their egg hunt activities are being upgraded to the Gold Coast Easter Egg Hunt 2019^ where young scavengers and their parents can search several thousands of eggs at the large lush green lawn for redemption of fabulous prizes. 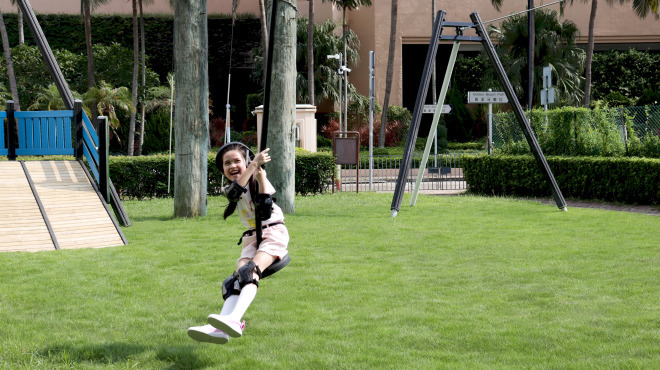 Besides, family fun extends till evening as guests can enjoy evening game party at our ballroom. 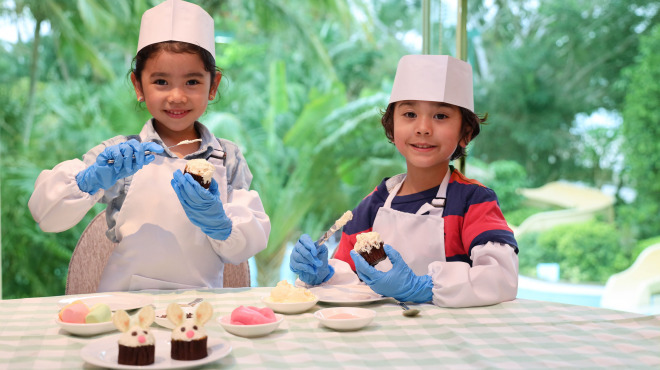 Stay for a consecutive of two nights and receive HK$200 discount* on second day of room rate and participate in a session of Easter Bunny Cupcake Workshop. 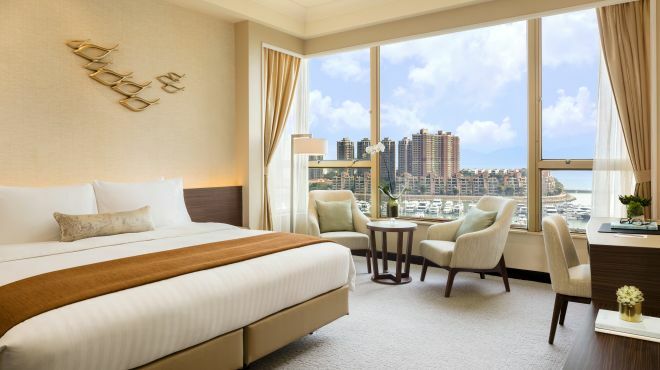 【Complimentary Dinner Offer】Enjoy a complimentary Easter Set Dinner at Satay Inn (for two adults and one child, valued at HK$436) upon booking of Premier Seaview Room with Balcony#. Subject to 10% service charge per room per night and prevailing government tax. Each room allows a maximum of two adults and two children aged 11 or below only. 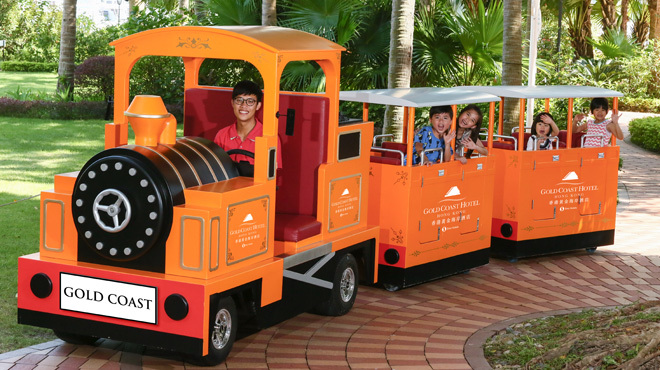 The above offers are applicable to two adults and one child aged 11 or below, per room only. Additional charges will be applied to other guests. 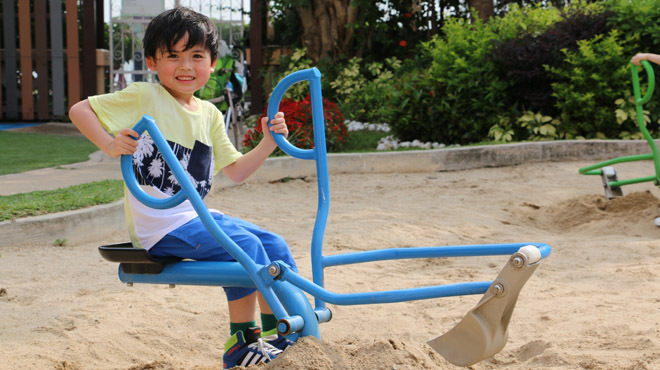 Each complimentary activity is applicable to one child aged 11 or below, per room only. Additional charges will be applied to other guests. 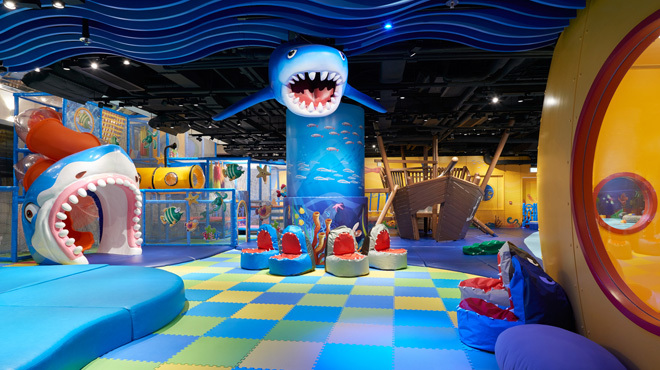 Complimentary access to Sharks and Pirates Adventure Zone is applicable to one child aged 11 or below only on per room basis (one complimentary session except Arts & Crafts Corner). 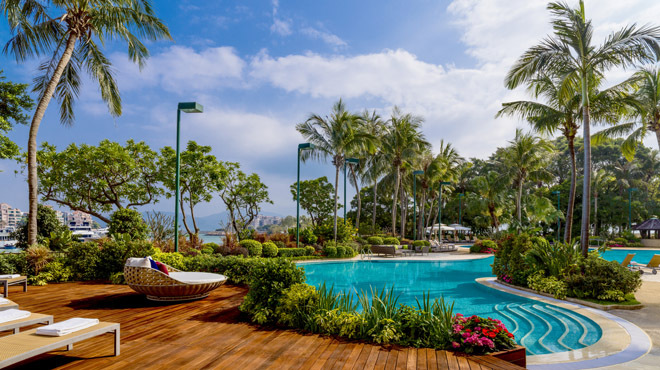 Complimentary access to the swimming pools is limited to a maximum of two adults and two children aged 11 or below on per room basis. All hotel services and offers are subject to availability and the hotel’s confirmation. Amendment or cancellation made less than 72 hours prior to the arrival or in case of no show will incur a charge equivalent to the first night room rate with the service charge.